Apple supplier Pegatron is facing criticism from a watchdog group for poor working conditions at its factories in China. The Taiwanese electronics maker came under fire for allegedly violating Chinese labor laws with the publication Monday of a new 60-page report from New York-based China Labor Watch that documents conditions at the factories. The alleged violations include unfairly deducting or failing to pay wages, providing insufficient worker training, and making overtime work mandatory, among others. The report also questioned Apple's efforts to cap the work week at its supplier factories to 60 hours. 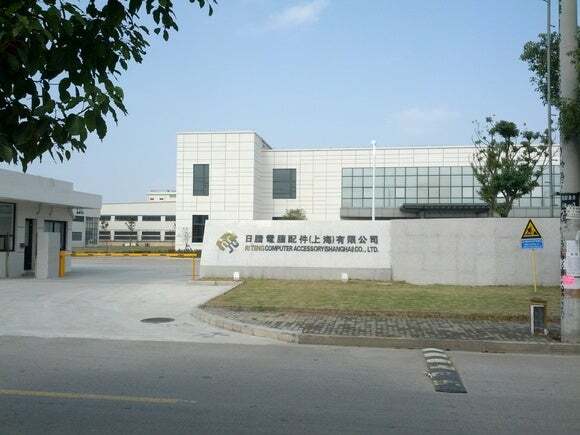 China Labor Watch's investigation found that the hours ranged from 66 to 69 hours at the facilities, and that Pegatron was allegedly falsifying worker attendance to keep the reported hours down. There have been rumors that Pegatron will make a budget iPhone for Apple. China Labor Watch, which has been critical of Apple and Samsungfor their labor policies in China, investigated three Pegatron factories in China, one of which it claims is building the budget version of the iPhone. From March to July of this year, the group sent undercover investigators to work at the factories and interview nearly 200 employees. Apple has been in "close contact" with China Labor Watch over the last several months, and is investigating the reported issues, the company said in a statement Monday. Since 2007, the U.S. tech giant has conducted 15 audits of Pegatron facilities covering more than 130,000 workers, Apple said. In the past 18 months, surprise audits were made at two of the Pegatron factories named in China Labor Watch's report. "Our most recent survey in June found that Pegatron employees making Apple products worked 46 hours per week on average," Apple added. The company, however, is sending teams to investigate the three Pegatron facilities this week, and is requiring the Taiwanese manufacturer to reimburse workers for any instances of unpaid compensation. Pegatron is also investigating the claims and will correct any violations found, the company's CEO Jason Cheng said in a statement. "We strive to make each day at Pegatron better than the last for our employees. They are the heart of our business," he said. China Labor Watch had previously accused the company of poor working conditions last year as it was meeting orders for the iPad Mini. In 2011, Pegatron also gained media attention after an explosion at a factory in Shanghai sent 61 workers to hospital. In its latest report, the watchdog group claimed Pegatron had failed to create "effective grievance channels" so that workers could voice their concerns to management. A pregnant woman was also found logging overtime hours, a violation of Chinese labor laws, the group said. Pegatron, however, said the company has spent the last two years establishing multiple channels so that workers can communicate their needs. "In addition, Pegatron helps create the educational programs including parenting seminars for pregnant workers, management courses, and accredited higher education classes," the company added. Apple and its suppliers have for years now faced criticism for working conditions at iPhone and iPad factories in China. But the U.S. company has pledged to protect its workers and provide a fair working environment for them. Last year, Apple invited the Fair Labor Association, to conduct audits of select factories of its supplier Foxconn Technology Group. In May, the Fair Labor Association said Foxconn was making progress to improve conditions at the factory, but that working hours at the facility still exceed Chinese legal limits. Updated with a video report from IDG News Service on August 1.